As much as I love my brights and prints, I’ve really found myself gravitating towards solid colors, especially neutrals. Maybe it’s the change of season, mabye it’s a shift in my style. Either way, I’ve recently found myself putting together looks that, to me, are class and chic. It was finally cool over the weekend, so I threw on one of my favorite chunky sweaters and boots. I’m 5’2, so these boots hit me perfectly at the knee. For taller girls, they may fit more like riding boots. Also, since I cut 3ish inches off my hair, I’m really into the lob with turtleneck look. 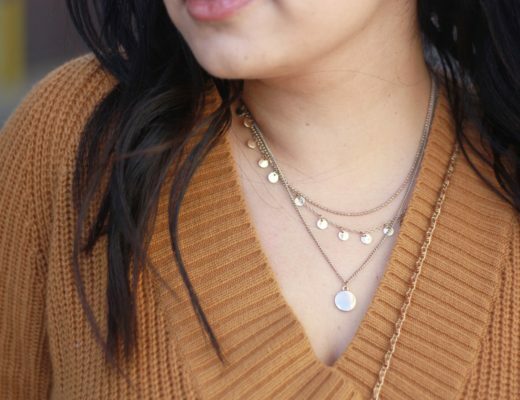 All in all, this look is perfect for fall. Such a cool palette, babe. 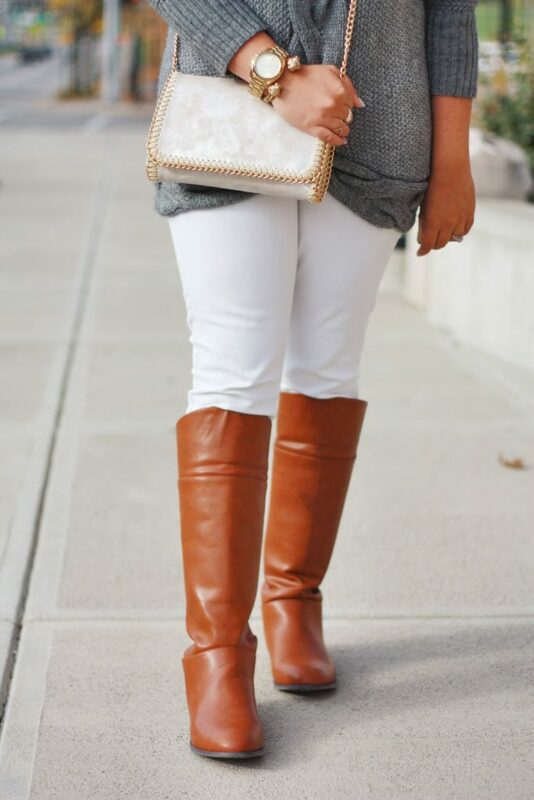 Loving those white skinnies with the boots! I am loving this for fall! That sweater is cozy and perfect! this outfit looks so cozy! i love the grey sweater and those boots are lovely.